The Original Dunlop Cry Baby is among the essential guitar effects pedals you must have in your collection. 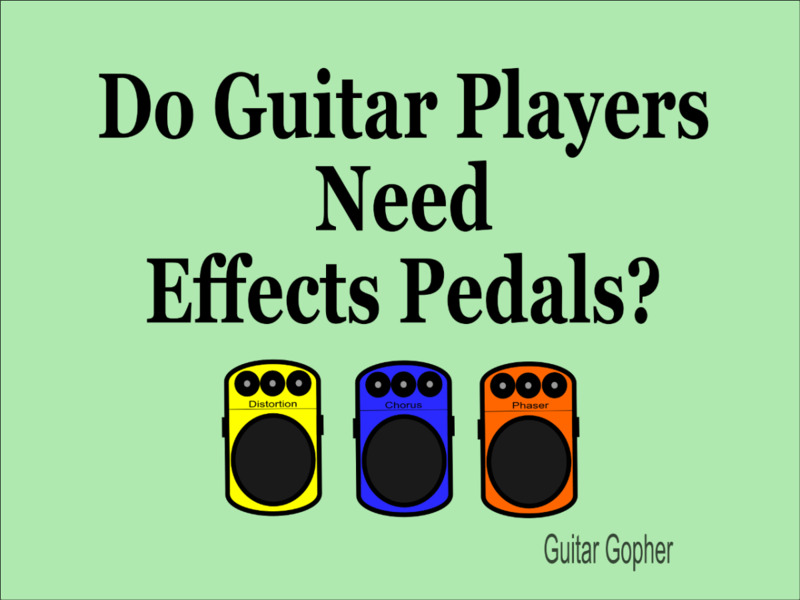 Veteran guitar players know how important effects pedals are to their signature sound. Most guitarists start out with a few stomp boxes. By the time they are in a touring band many have moved on to a rack setup, advanced switching system or gigantic pedal board. But no matter how complex their effects setup becomes, most guitar players hang on tight to those few special pedals that have always come through for them over the years. We've all seen the pictures of famous guitar players' pedal boards. To us they appear a jumbled mess of stomp boxes and patch cords, held together by duct tape and strong will of hard-working guitar tech. But tucked within the clutter the guitarist has everything he needs. He's built his collection of effects over years, possibly decades. If you examine enough pedal boards you'll see the same effects pedals appearing over and over again, and with good reason. In this article we'll take a look at five of the best guitar pedals that have stood the test of time and appeared on the pedal boards of some of the greatest guitarists in history. From Eddie Van Halen, to Kirk Hammett, to Zakk Wylde, to Stevie Ray Vaughan, these pedals have shaped the sound of rock, metal and blues. You can go with an all-in-one digital effects processor if you want, but for some players there are no substitutes for the classics. The Dunlop Cry Baby has been around for a long time. Sometimes called a wah or wah wah pedal, it’s been used in just about every genre of music imaginable, and for many different kinds of effects. The Cry Baby is essentially a wide-sweeping tone control. The unit works by stepping on the expression pedal and engaging a button beneath. 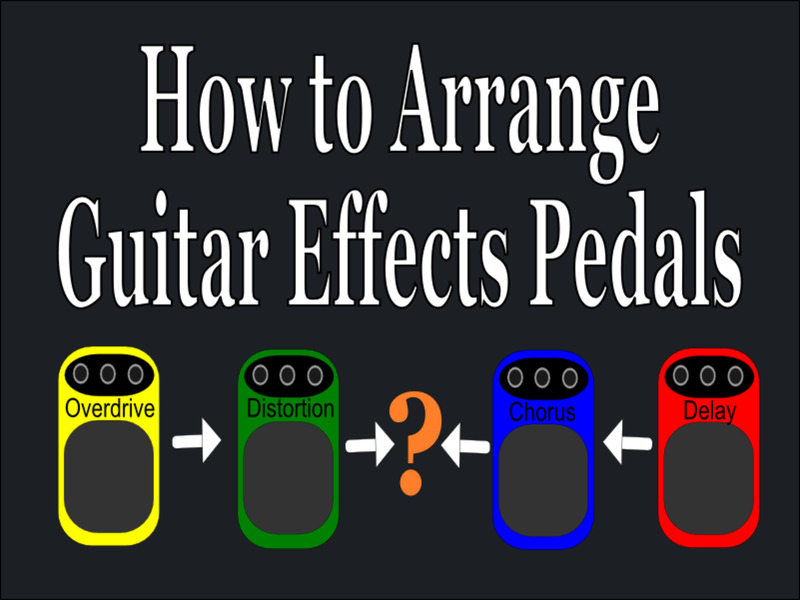 Then, by manipulating the pedal, the guitarist can filter low or high frequencies, or land anywhere in between before shutting it off again with the click of a button. 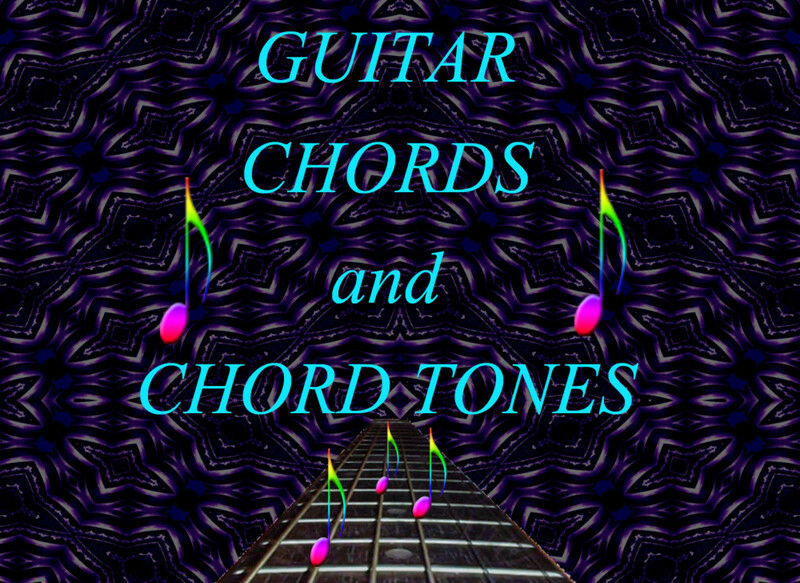 This presents some awesome sound-shaping options for soloing, or just for cool rhythm effects. It doesn't seem like such a big thing, but a wah pedal can really produce some unique sounds under the foot of a skilled guitarist. There are a lot of different wah wah pedals out there, and many variations made by Dunlop themselves, including many artist models and a “Classic” model that is apparently more classic than the Original. But the Original Cry Baby is the pedal musicians have turned to for decades. Use it early in your signal chain, after any overdrive pedals, to spice up your solos or funkify your rhythm playing. 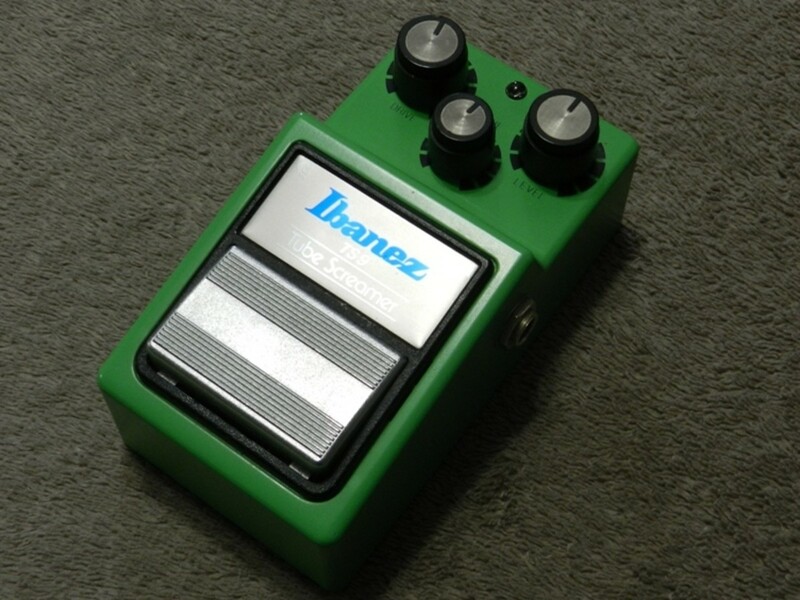 The Ibanez Tube Screamer is one of those stomp boxes that has reached almost legendary status among pedal geeks. Back in the ‘70s and ‘80s this little green box built a reputation for smooth overdrive that really did sound quite tubey. But, like the Ford Mustang and Classic Coke, things change. Today’s basic Tube Screamer is still a great little pedal, but many players yearn for days of yore. While some have turned to hot-rodding their pedals, if you're not quite up to that task you can grab a new Ibanez TS9 reissue and experience some of the same great tubey tone as the original. If you are a blues, country or rock player the Ibanez Tube Screamer may be all you need to get your sound. This little green gem truly does an outstanding job of replicating warm, tube overdrive. If you play more aggressive music you may use the Tube Screamer in front of your amp to shape your tone a bit, as a volume boost for soloing, or just as another distortion color to call on when needed. While not as necessary as it used to be, some hard rock guitarists use overdrives like the Tube Screamer to push their tube amps harder and further into overdrive. 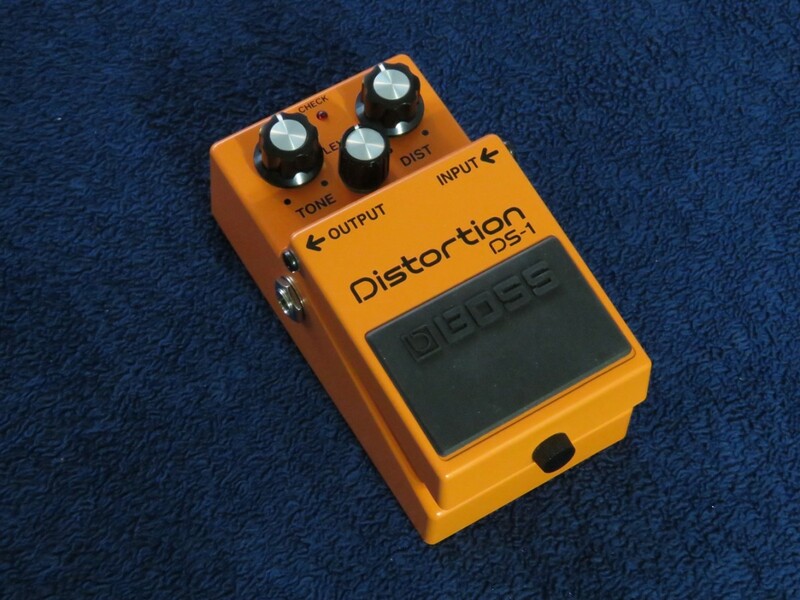 Put this multi-use distortion pedal first in your signal chain no matter what style of music you play and increase your tonal options. 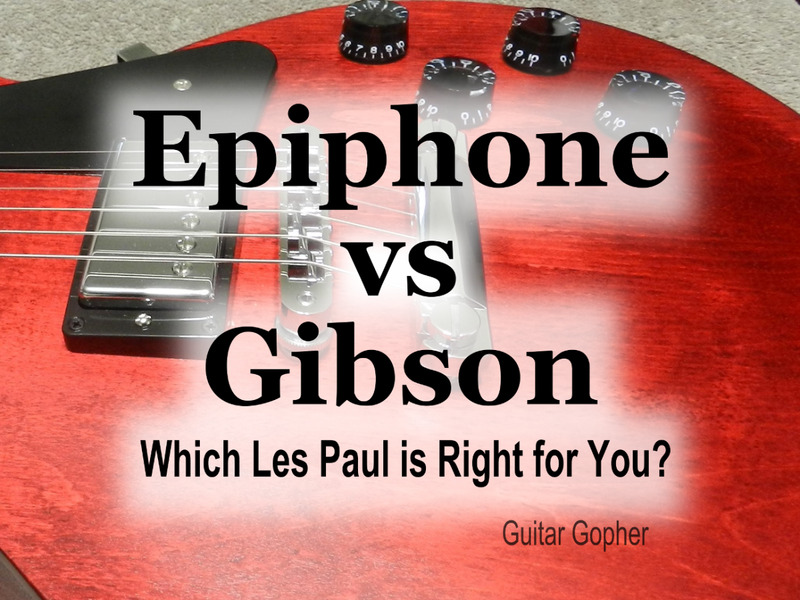 According the poll at the bottom of this article, readers feel that their overdrive and distortion is their most essential guitar effects pedal by a wide margin. 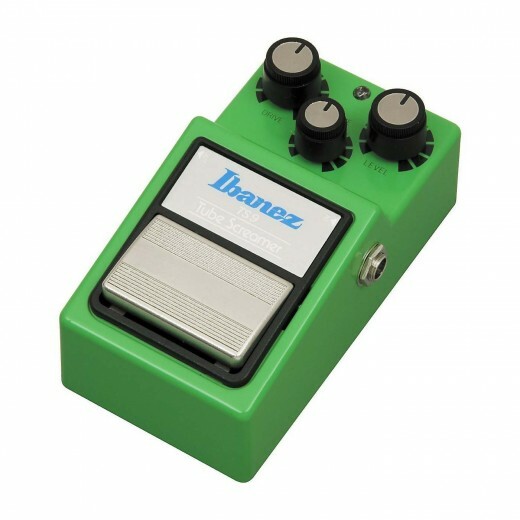 The Ibanez Tube Screamer is one of the best overdrive pedals ever made, and even today it's considered a classic. Chorus is one of those key effects every guitarist uses now and then, and it’s also among the most subjective sounds. Many players use it to accent clean tones, but even some metal players have made it part of their main overdriven sound. 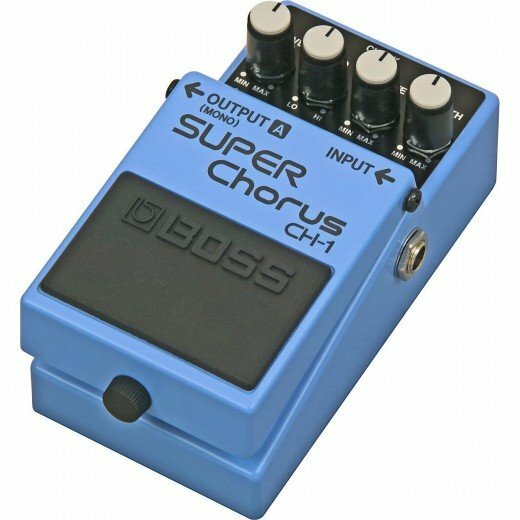 The Boss Super Chorus is an essential guitars effects pedal. There are a lot of options out there, and some boutique pedals will really knock your socks off. 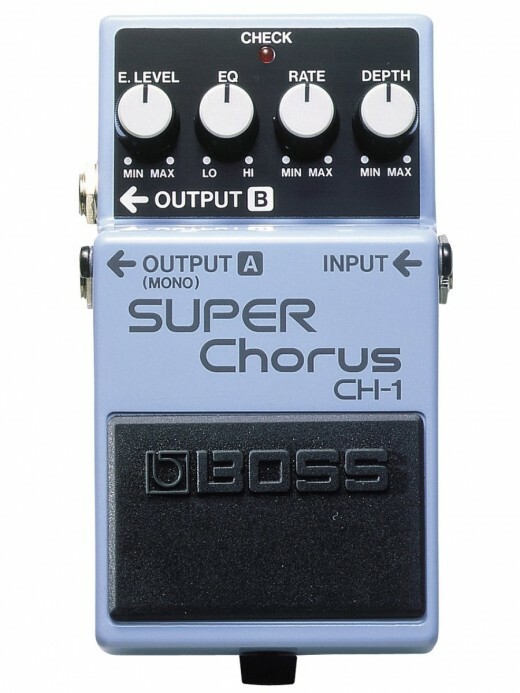 But a great basic option that has stood the test of time is the Boss Stereo Super Chorus. Boss pedals are built like little tanks, and you’d probably have to really put your mind to it if you wanted to bust one up. The Super Chorus has stereo outputs, which you may or may not have any use for, but it’s nice to know you can. Four simple knobs control your sound: Level, EQ, Rate and Depth. The Chorus Ensemble is another great chorus pedal from Boss, and features more in-depth sound shaping options and a similar price tag. Put the Super Chorus after any pedals that add gain to your signal, such as distortion or wah pedals. The Boss Super Chorus is a good-sounding, reliable pedal from one of the best effects builders in the world. Around the world today, countless guitar players from professionals to basement hobbyists count on the Boss Super Chorus. The phaser can be one of the spaciest effects out there, but some guitar players prefer to set it on slow and low in order to add some nice chewy texture to their sound. Think early Van Halen. Back then, as today, many players relied on the classic MXR Phase 90 to get the sounds they wanted. Like the wah pedal, the phaser filters different frequencies of your guitar’s tone, but instead of controlling it with a pedal you preset the speed of the sweep. Sounds range from swooshing and jet-plane-like to subtle and nuanced, depending on how you set it and where you place it in your signal chain. So, how can a little box with one button and one knob sound so good? Only MXR knows, but this little unit has been the benchmark of great phasers for decades. Why setting for a copy when the original is still out there? Experiment with different placements on your pedal board to see where you like it best. 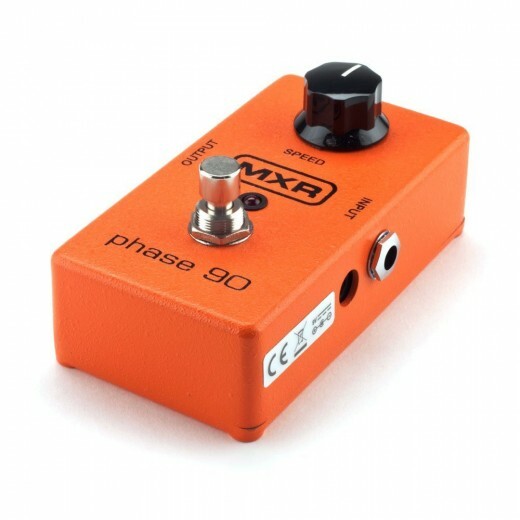 The MXR Phase 90 is a classic phaser, and one of the best guitar pedals out there. The original DigiTech Whammy pedal first hit the scene almost 25 years ago. Many versions have come and gone in the meantime, and today the basic pedal is the Whammyv-01. 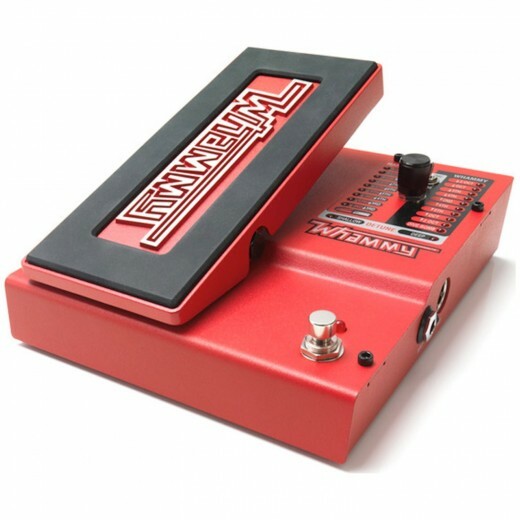 The Whammy is basically a pitch shifter. 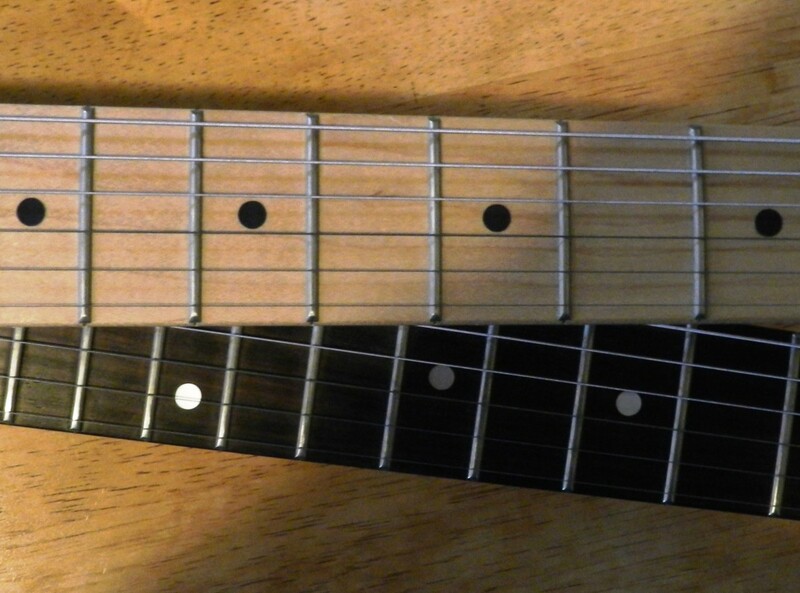 It somewhat emulates the effect of a whammy bar on a guitar. But with a digital design and expression pedal many more options are available to a guitar player than with a simple tremolo bridge. The Whammyv-01 retains the sound of the original Whammy, meaning multiple harmony effects, whammy effects and detuning. But it also adds chordal pitch shifting and true bypass. The DigiTech Whammy is still a key component in the effects chain for many guitar players. Like every other pedal in this review, you always have other options, including some expensive boutique pedals. But the Whammy is the original, and has stood the test of time. Place it at the end of your effects chain to really add some diversity to your sound. If you are new to the guitar, or at least to stomp boxes, these five essential guitar effects pedals are a great start to your pedal board. But if you aren’t ready to fully take the plunge, start small with a distortion, chorus or wah pedal and experiment with your sound. For some guitarists less is more, where others can't ever seem to own enough gadgets! Trying out new pedals is a lot of fun, and before you know it you will have built up a collection of stomp boxes. When if comes to guitar effects, you have so many options. Some purists prefer only analog stomp boxes. Others guitarists like one floor effects processor to handle everything. Still others engage complicated rack setups and switching systems. It's easy to get overwhelmed, so try not to take it all too seriously. When in doubt, you can’t go wrong with any of the pedals in this review. Good luck! Which Pedal is Most Essential? 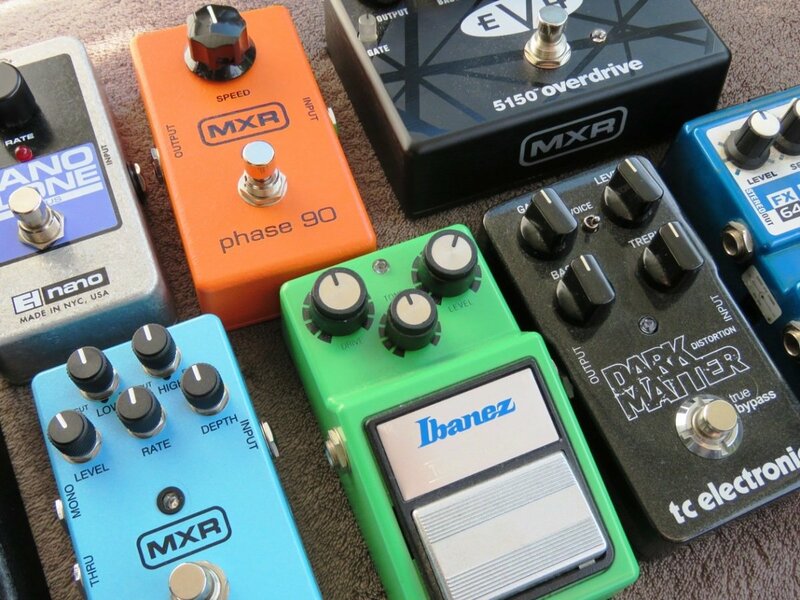 If you could only own one, which is the guitar effects pedal you must have in your collection? A) Valeton Tube Refiner Modern Overdrive. C) Rowin Noise Gate Supressor. 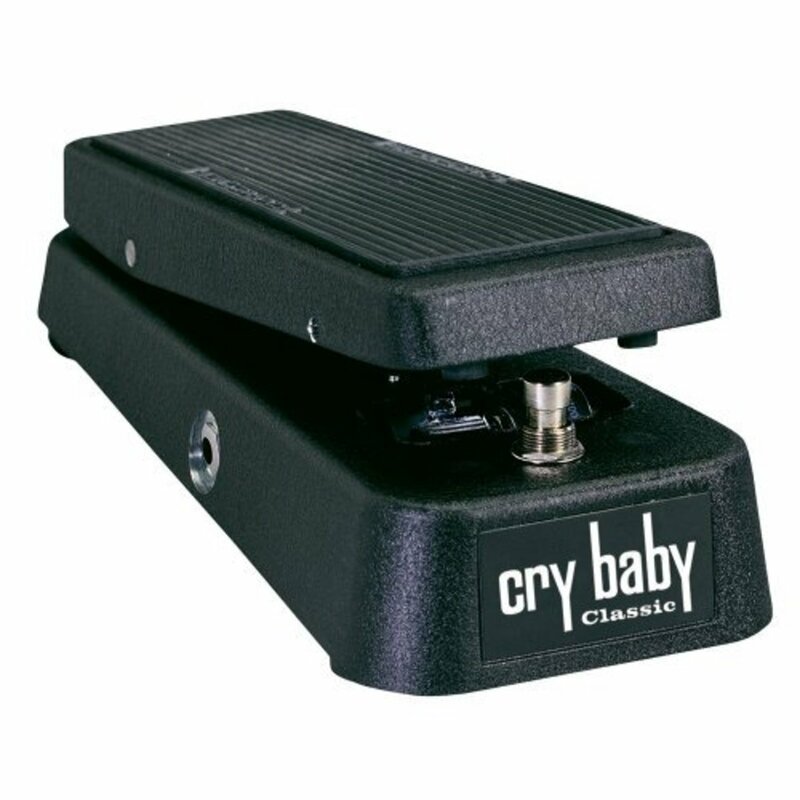 D) Jim Dunlop GCB95 Original Cry Baby Wah. I do appreciate your kind attention to this inquiry and look forward to your response. P.S. Also "Please", let me know if the 1st Pedal is "Closest" to the Guitar or to the Amplifier (just to know where they start and end. Again, Thank You Very Much! Well IMO You only need a Wah, a distortion, some reverb and a tuner. basic stuff but very useful and powerful tools to flex and extend your tonnal palettes. These are definitely some of the best guitar gear you can buy. How great Guitar gear, Cry Baby is one of my favorite sound. Yeah I heard my buddies new one and was blown away by how natural the effects sounded and how I could get a Devon Townsend, Yngwie Malmsteen, and Dave Mustaine presets and switch between everything a million different ways with a 4 button switch. Absolutely stunned. Thanks man! I have few posts around here on the Fender Mustang series. I agree they are cool little amps. With those things, you don't need any outboard effects. They do it all! I don't use much in terms of effects. My main rig now has been cut down to a Gibson Flying V or my Ibanez RG plugged straight into a Fender Mustang IV. You have to check it out it's amazing! Voted up and following now!